Retronyms Looperverse lets you time stretch and change the pitch of a loop quickly and accurately. You can even play the loop on Looperverse’s built in keyboard to find a desired pitch. The following video shows you just how easy it is to change the tempo and pitch of a loop in Looperverse. 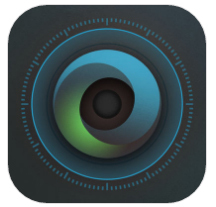 Looperverse is the ultimate loop recording and performance system for iOS! Continuously record up to 16 tracks worth of content, and immediately edit them. Need help? Have an issue or question? Please email us at support@retronyms.com. Looperverse makes recording, editing, and customizing loops simple. The 16 track loop recorder includes sound-on-sound, overwrite, and next track modes. You can adjust track sends to the built-in delay and reverb effects, as well as adjusting pan, gain, mute, and solo in the mixer. Looperverse features advanced waveform editing, pitch shifting, time stretching, live reverse, extensive undo/redo, and time signature support. Limitlessly modify your scenes and explore your phrases and riffs with Looperverse. Inter App Audio and AudioBus support ensures that you can record any virtual instrument. Looperverse also supports Ableton Link, allowing you to lock tempo with Ableton Live or apps on other devices. AudioCopy support allows you to quickly publish music on SoundCloud, copy and paste from hundreds of compatible apps, and choose from millions of loops and sounds available in the Content Store. The app is integrated and enhanced with the Looperverse pedal, which provides 6 premium quality switches pre-mapped to undo, redo, clear, tap tempo, record, and playback. Each setting is fully customizable, so you can remap to their liking. It can be controlled from your iOS device and will work as a standalone pedal with any device that supports MIDI. Because the Looperverse pedal supports the Bluetooth (BTLE) MIDI standard, it’s compatible with virtually any software on any device. You can control Looperverse from external hardware and remap to your liking with MIDI and MIDI Learn support.